The San Francisco Bay is known for a lot of things: piers, sailboats, beautiful beaches and quaint towns. But it also has a deeper, darker history of hauntings all along the coastline. 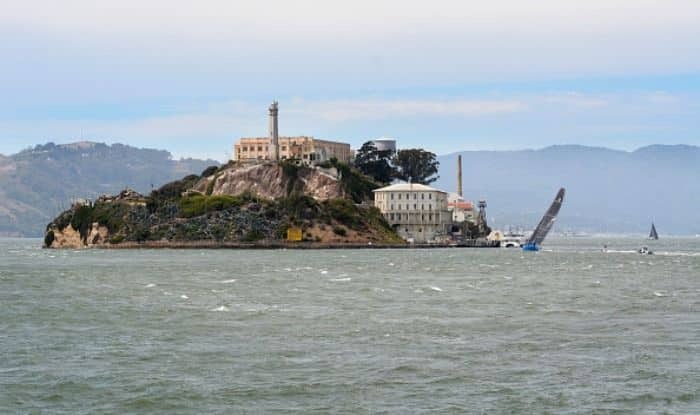 Here’s a list of the five most eerily thrilling places along the San Francisco Bay that you can visit. For a spooky adventure, one can’t think of a better place to visit than the ultimate infamous island haunted by the ghosts of ex-cons. Take the night tour, offered by Alcatraz Cruises; it can sell out quickly, so get your tickets early. Don’t let the beauty of the park fool you—there are ghosts here. Formerly a small fishing village and an outpost of the Bay Area’s Chinese immigrant population in the 1800s, today it’s one of the closest ghost towns to San Francisco. While its once bustling streets were formerly home to 500 people, three general stores, a post office, today it’s just a couple of creaky houses and the post office, along with a visitor’s station. Known as the former Ellis Island of the West Coast, this one’s full of tormented history. Thousands of immigrants from Asia and the Pacific made their way through immigration on the island before they could step foot on the Golden Coast. The USS Hornet is not for the claustrophobic or faint of heart. The most notoriously spooky spot on our list is the aircraft carrier posted in Alameda, also known as the ship of spirits. Haunting the green fluorescent tinged hallways of the crew’s quarters or the sick bay, former crewman of the ship patrol the halls—those that were killed during the Hornet’s time of active duty. Self-guided tours of the ship are available through the USS Hornet Museum. Unofficially haunted, the shipyard has long been the subject of local spirit tales, drawing groups of ghost-seekers who scour the grounds for proof of paranormal activity. Founded in the 1850s, the shipyard was a home base for the construction of a series of Navy vessels until it was decommissioned in 1996.